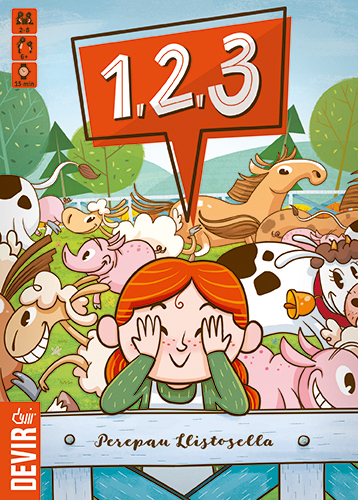 1,2,3 is a kids memory game designed by Perepau Llistosella and published by Devir. The version we picked up at the UK Games Expo is the updated reprint for Europe. The cutesy art style, illustrated by Joan Guardiet, is clearly aimed at a younger audience. The player grabbing the pieces then throws them down on the table into a random pattern. 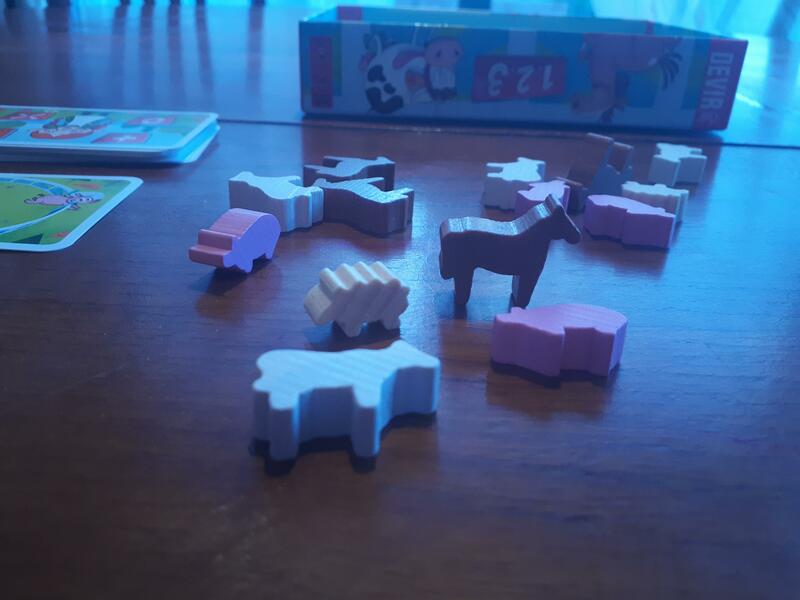 The other players get 10 seconds to memorise the arrangement of the animals on the table before closing their eyes. The player in charge will then draw a card that tells them which animal(s) they need to add, takeaway, move, or switch places. Then the players open your eyes and need to guess what has changed. 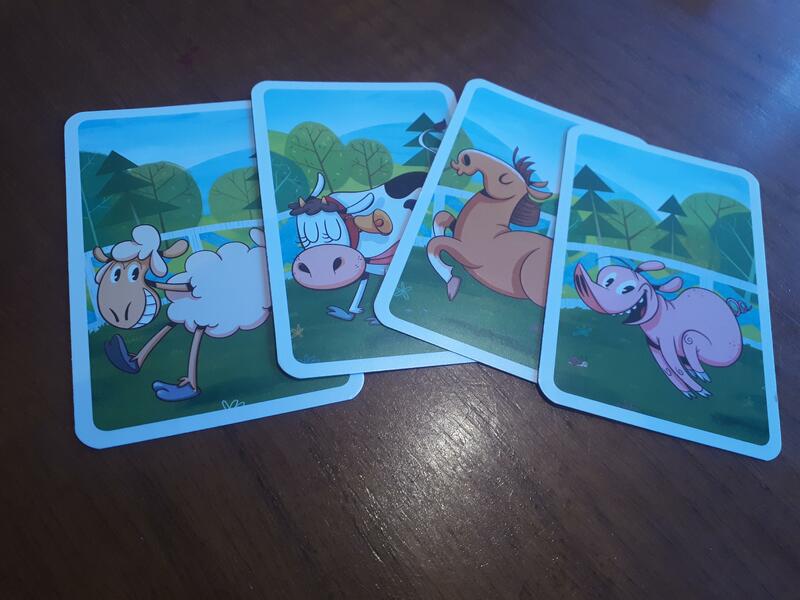 Each player has four cards one for each animal type which they will place face down as a guess. All players reveal their guess and the adjudicator can see if anybody is correct. The pieces themselves aren’t of the highest production quality either. At least one of the pieces in the box was already damaged when we got it. The cardboard scoring tokens are also pretty flimsy. 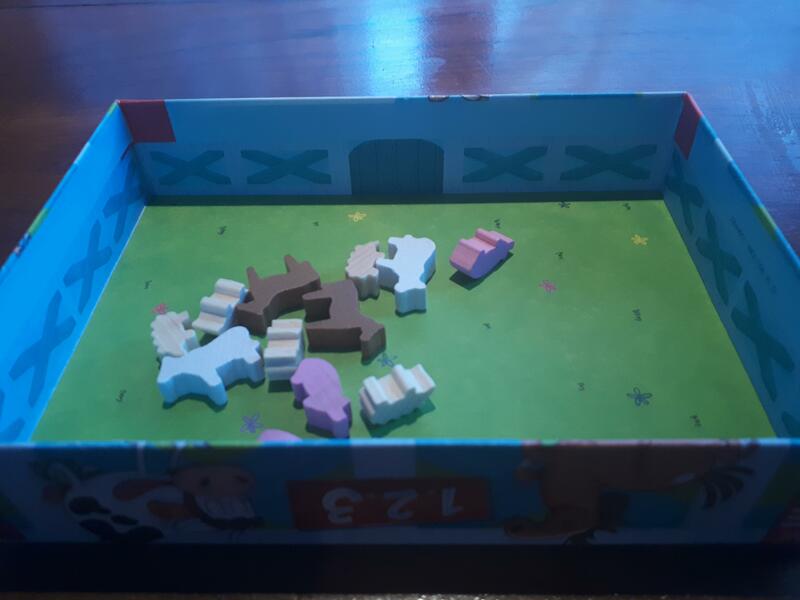 If the animals were made of plastic, with some rounding on them, then it would make it much easier to grab them out of the box. *There is an alternate version of the game that doesn’t include this rule, and also simplifies the altering of the pieces. However, the rule book suggests this variant is for 4-5 year olds. My issue with picking up the pieces still stands.